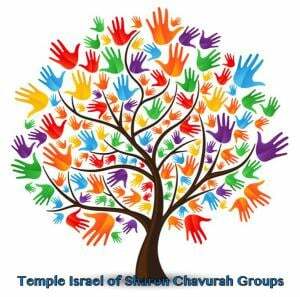 If you are interested in joining a Chavurah, please complete the application form and return it to the Temple office c/o Adult/Family Education committee. Feel free to contact Jen Zinno at chavurah@tisharon.org with any questions or if you need additional information. We look forward to hearing from you! The TI Young Families Chavurah Group (TIYF) will gather together once a month for fun, social activities with a Jewish twist, holiday gatherings, to attend a Temple event and more! Young Families with preschool and early elementary aged children will make up the majority of this group. Activities will be geared towards the entire family, focusing on ages 2-8 years of age. Siblings younger and older are of course welcome to join us as well. Activities will be planned during the hours of the day that work well with nap time and early bedtimes. We expect all members to be hands-on and work together to implement these monthly events. Please be willing to commit to joining us and pitching in as much as your time allows. If you are interested in being a part of this group, please complete this form and the organizer (Lisa Einstein) will then be in touch with more information on our first event September 2015!